Art has more than 20 years of biomaterials, medical device and biotech experience in both public and private companies, with a strong record of developing technologies from bench top through commercialization. 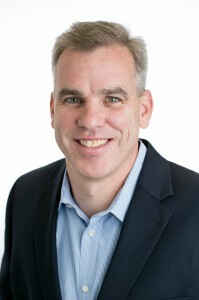 Prior to joining Ocular Therapeutix in 2011, Mr. Driscoll was Vice President of BioSurgery R&D for Covidien’s Surgical Solutions business and previously held senior management positions at Confluent Surgical and Boston Scientific. Mr. Driscoll has a B.S degree in Industrial Technology and was a candidate for an M.S. degree in Plastics Engineering from the University of Lowell. The contents of this Site are subject to change without notice. Ocular Therapeutix may modify and/or discontinue operation of all or portions of this Site at any time at its sole discretion without notice, and assumes no responsibility to update this Site. Ocular Therapeutix makes no representations or warranties with respect to the use of this Site or any information obtained herein.